American Dream Tour in Miami, South Florida's best Car Tours! Offering Classic Car Tours to discover The Magic City of Miami sightseeing in an Antique Convertible! Fully tour Miami Beach, cruise through Little Havana and the famous Calle Ocho. Grab a colada before returning via Brickell and Downtown Miami to Miami Beach, using The Venitian Causeway! Visit the Bohemian neighborhood of Coconut Grove. Tour the beautiful city of Coral Gables, Biltmore Hotel, Venetian Pool and more. Finish this great car tour with a break at Little Havana for a cafecito, watch a Dominos game or smoke a cigar before returning to Miami Beach. American Dream Tour - Miami is a Classic Car Tourist Company attraction in Miami Beach, Florida. Our Car Tours are City Tours in Classic Convertible Cars. Our Tours are one of the most unique and best tourist attractions in Miami Beach and in Miami. < p="">Jump on an antique car city tour Miami and Miami Beach tours. American Dream Tour offers tours Miami Beach, South Beach tours, tours in Wynwood, Little Havana and Coral Gables. Our car tours are guided classic car tours experiencing the best scenic car tours and historic Miami tour available in South Florida. < p="">Tours last 1-4 hour, depending on tour selection of our Miami sightseeing tours. < p="">Each Classic Car can fit a maximum of 5-Tour Guests. < p="">Guests are given refreshing cold water. < p="">Guest get individual electric fans for additional cooling use. While on a sightseeing tour of Miami you will enjoy a memorable vintage classic car tour. Sightseeing city tour in an antique car. City tour Miami Beach and South Beach tour, sightsee Art Deco district, SoBe, Versace mansion. 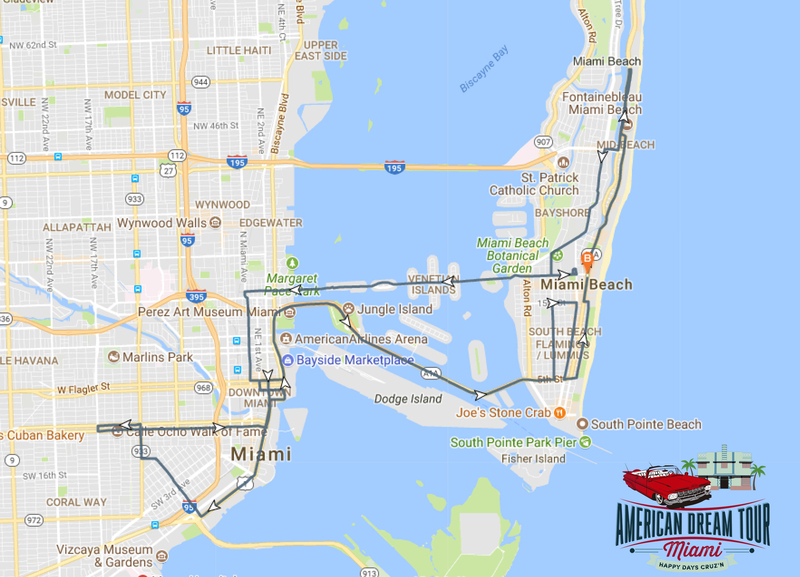 American dream tour sightseeing tours Miami, Wynwood tours, Little Havana tours & tours in Miami Beach are a must do for tourist, traveling to Miami, locals, teenagers, events, weddings...more! Miami tour company offering city tours Miami, city tours Miami Beach. Learn things to do in south beach with guided tours. Grand Tour includes Coral Gables tour, Miami vintage car tour. Learn about our many car tour options! Learn more about Miami in a Classic Car Tour! The best way to do sightseeing in Miami! Break from the norm and book a classic car tour! Want to know of things you can do in Miami? Want to know of things you can do in Miami Beach? Looking for something to do with a date as a couple? Are you visiting Miami and looking for a city tour? Are you visiting Miami Beach & looking for a city tour of beaches? There is no better way to explore and sightsee the beautiful City of Miami than in one of our stunning convertible classic cars with an experienced, friendly private driver to show you all the highlights while giving you a private guided city tour! Learn and discover all the great places and things you can do in Miami! Enjoy a private car tour of Miami Beach and surrounding Miami areas for 1 to 5 guests, and get noticed like a Star from your favorite Hollywood movies. Explore beautiful views, touring in the comfort of the roomy vintage interior of a Convertible Classic Car! The best private car tours to sight-see and learn about the Art Deco district, Ocean Drive, Collins Avenue, Venetian islands, The Biltmore Hotel and so much more. Our car tours are created for enjoyment, and your city tour itinerary will cover the most scenic touring and interesting tour areas of Miami. Tour stops are usually recommended but they are not mandatory, allowing tourists to enjoy certain areas longer. It is your choice if you want to stop. All rates are per vehicle (1-5 passengers). 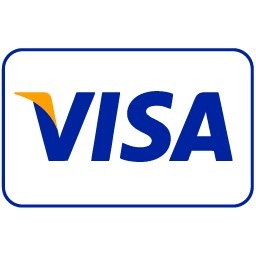 Pricing based on 4 passengers per vehicle, starting as low as $18.00/pers. Our classic car tours include a free pick-up from any private residence or hotel in Miami Beach from South Pointe Park up to 5000 Collins Ave to the North, within the island of Miami Beach. If you are located outside of the local tour pick-up area, you may meet us at our location for tour pick-up, conveniently located at the National Hotel - 1677 Collins Ave., Miami Beach, FL 33139; or you may request a special car tour pick-up and drop-off for an extra fee. Drop-offs are usually in the same location as the initial pick-up. However, you are able to request a dropped off at other locations such as shopping district, restaurants, etc. located within the areas of our tours. At American Dream Tours we know sometimes there is a need to rent an Antique Convertible Car. Are you looking to create a movie? Commercial? Or possiblly need to setup for a special event requiring extended use of a beautiful classic convertible car? Contact us today to get rates and schedule the length of time needed with one of our classics!